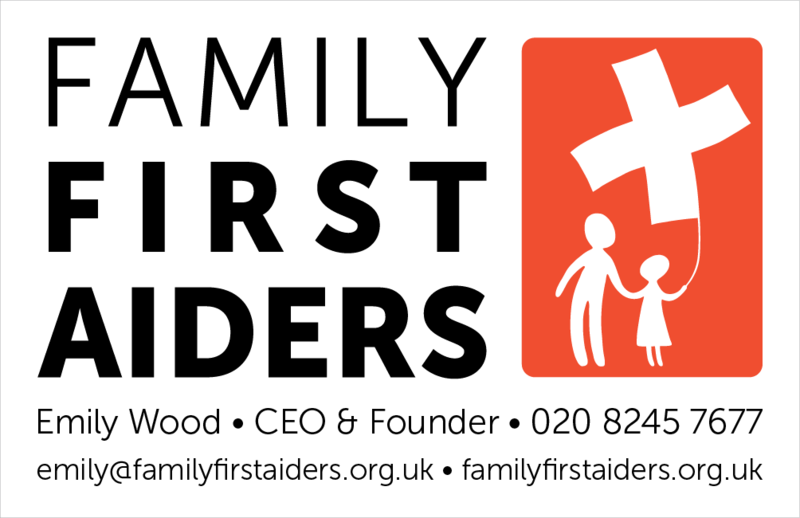 I created a logo and brand identity for an innovative not-for-profit social enterprise, Family First Aiders. 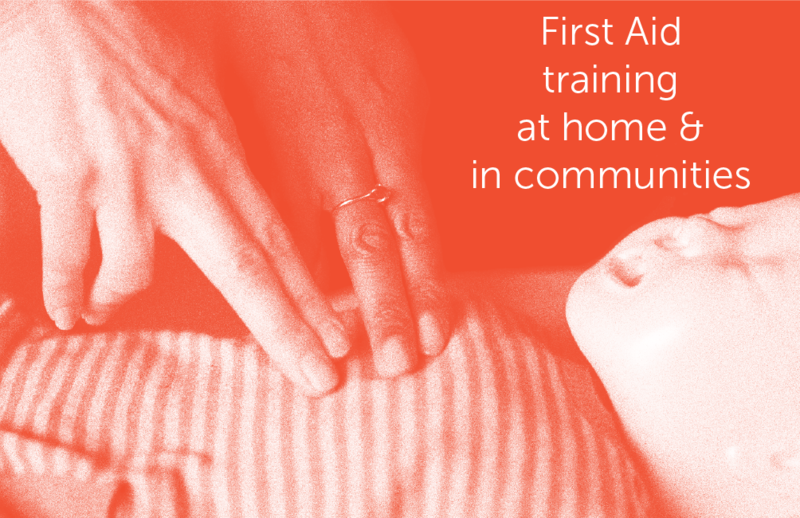 The First Aid courses are designed for parents with small children and young people, targeting those most at risk or in need. Courses are taught in local community, children’s and youth centres, as well as in schools and in people’s own homes. With the help of The School for Social Entrepreneurs – and in conjunction with the business mentorship from The Lloyds Bank Social Entrepreneurs Programme – that Emily Wood, CEO & Founder of Family First Aiders, is currently attending, a set of standards and guidelines were outlined for the brand identity in relation to the marketing campaign. Also, a number of key elements were identified with regard to the logo, colour scheme and typography in relation to specific needs of the organisation: the branding needed to stand out from other First Aid training companies in its style, aims and social impact; it needed to look professional but not too medical or sterile; it needed to appeal to a diverse range of target groups from, and be inclusive of, socio-economic and cultural backgrounds; and it needed to appear friendly, warm, modern, exciting, inspiring, accessible and affordable. We are very happy with the work Andreja Brulc has done for us. She has shown commitment to understanding the aims and values of the organisations and translated this into a strong image that has now become the starting point of our branding and marketing campaign. Although the colour scheme is based on colours traditionally associated with the First Aid organisations (i.e. red and green), the brand is distinctly different from the convention. In order to avoid copyright infringement, the design problem was solved by introducing a tonal variation on red and green, as identified with coral orange and turquoise colours respectively, thus making the brand look fresher and more contemporary. The concept for the logo is based on the idea of a child at play flying a cross with a great determination, creating an illusion as if she is running a kite. A male parent is softly pulling the child, his daughter, as a friendly gesture of them joining in the Family First Aider course. Furthermore, the logo emphasises the gender balance of father and daughter to challenge a public perception that only mothers are responsible for childminding and upbringing, thus giving fathers an equal role and position in the child development. 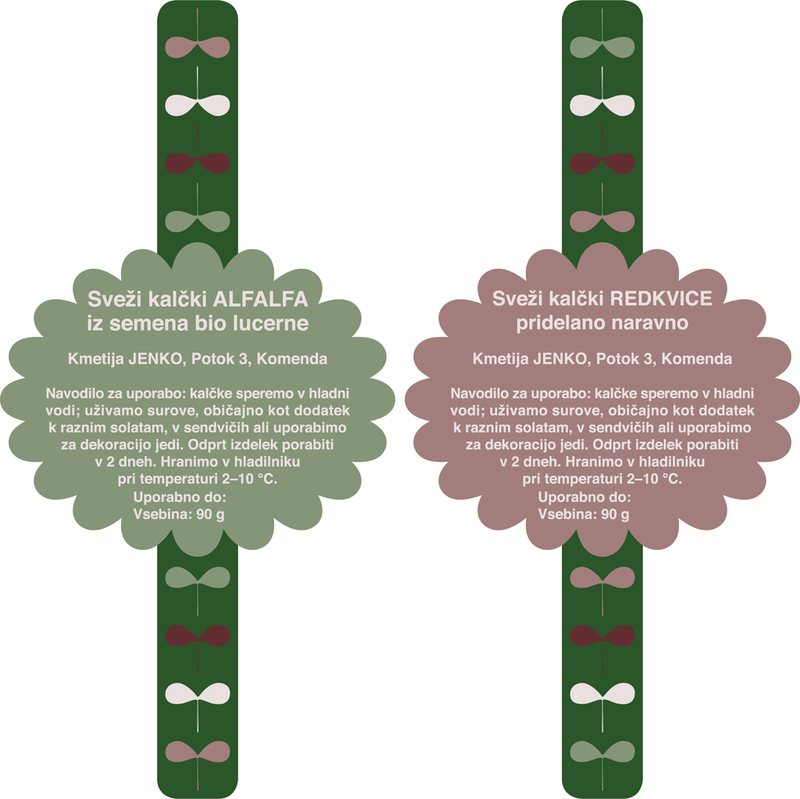 I created a brand identity – applied to stationery, marketing campaign and display material, as well as to a billingual website – that helped to redefine the new look for a small business called Harmonka servis, based on the new premises in Mengeš, Slovenia. As the name suggests, the company repairs all types of accordions (piano, chromatic and diatonic) used for popular, folk and classical/jazzy music. It particularly specialises in Pigini and Hohner accordions. The company was founded in 1995 for servicing the world-renowned accordions, known under the Zupan trademark. The service team consists of two great guys: Peter Galjot (the head of the company) and Marjan Koderman (a professional tuner). The company is now independent of the Zupan company, hence their need for my help in sorting out their new image. We decided that the new image for the company should bring together the traditional and modern worlds, in order to appeal to the diversity of clients, both from the existing list of local and international clients while at the same time attracting the new ones – hence a mixture of nostalgic and contemporary approaches. Below is a small selection of photographs I took of the guys hard at work. The final selection of images for the company’s new website is bound to be different to my selection as the client is always right, but this post is particularly focused on the detail of accordions – as the photos remind me of letters on ‘good old’ typewriters. PS: The company finally got a new image on the web, too, in spring 2015 – have a look here if you happen to have landed on this page. I believe the image is prominantely different to other competative businesses in this highly specialised field both nationally and internationally. 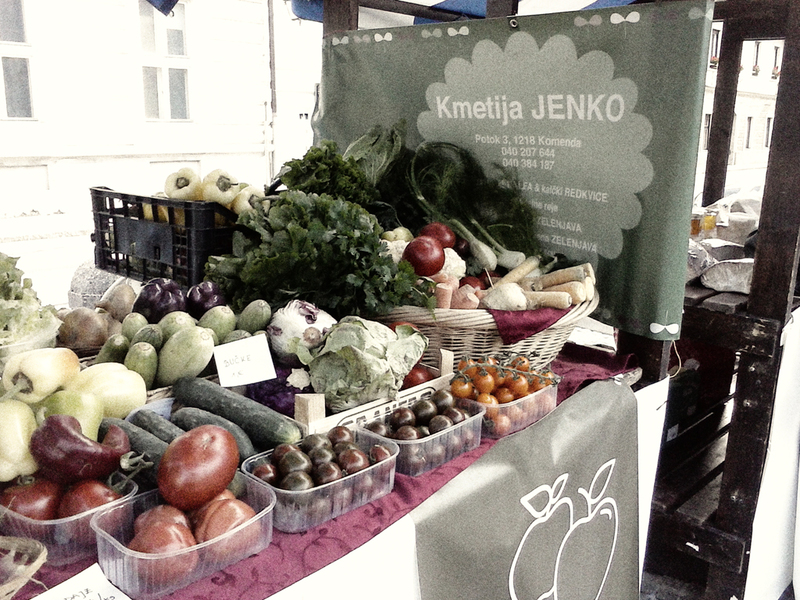 I created branding, stationary, labels for packaging and farmers’ market display for an organic farm, Kmetija Jenko, Slovenia. 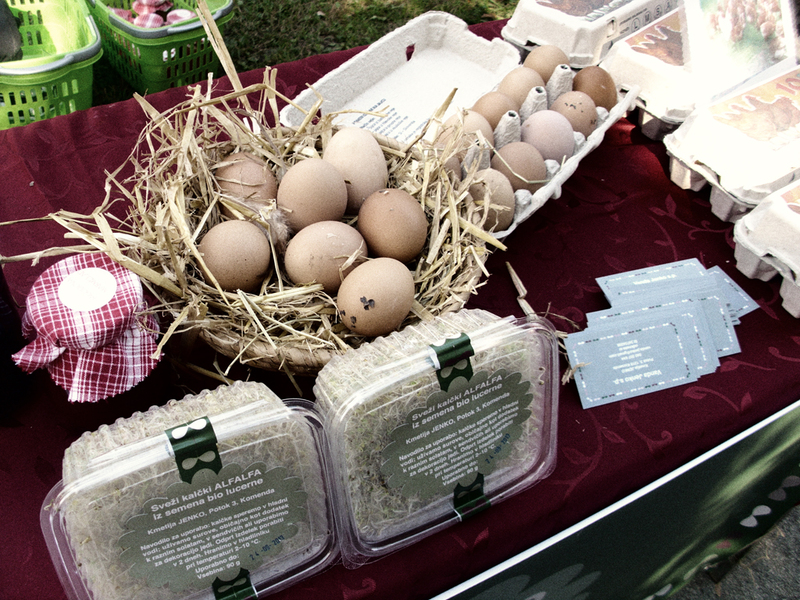 The farm specialises in fresh seasonal vegetables and free range eggs, as well as alfalfa and radish sprouts. The branding is based on the form of a leaf resembling sprout and is treated in subdued, organic, colours.